In politics, it is very important to know what is the public’s desire. If you will be able to know what they want, then it could really make a difference. But you can know this only when people get back to you with their opinions on each move and for this, you need a service which is simple and hassle-free. Missed call alerts are a very good technique for the same. Provide them a set of missed call alert numbers. Simply associate a motive with each of them. All they need to do is give a missed call on the desired number and you will come to know what they vote for! 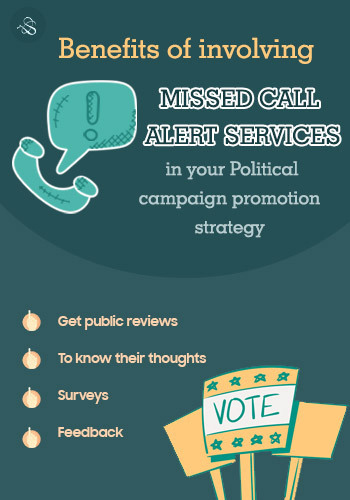 One of the most beneficial uses of missed call alert service is that you can get public reviews in seconds! A positive review would motivate and a negative review would help you to do things better. In order to know whether the people are genuinely liking your political party or not you can use the simple process to know their views better. It would help you to refine your strategy and make changes for the party’s betterment. Just add 3-4 missed call alert numbers. Each of them must be with the intention to know different types of review of public and it’s done! The simpler the process will be, the more genuine ratio of likes and dislikes you will get. Feedbacks are very necessary. They must be taken after every step of yours to know its worth. Taking feedback every time after announcing or sharing anything with the public can help you to make modifications for the future. For this, all you need is a missed call number. At first, reach a missed call alert service provider. Get missed call alert numbers and associate a motive with them as we have mentioned above. Spread the number- tv, hoardings, newspaper, SMS etc. People will start giving missed calls as per their desire. 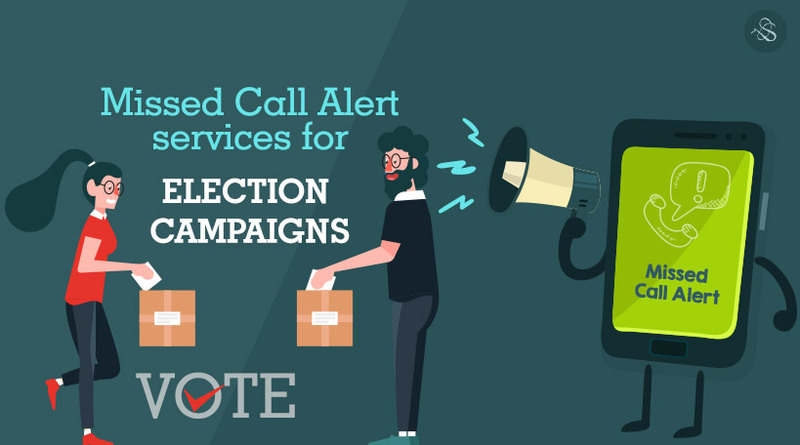 So basically missed call alert services can be used to know the public better. Since only the major political parties are using it so you must definitely use this to bloom and get highlighted in Lok Sabha election 2019!